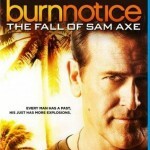 Burn Notice: The Fall of Sam Axe starring Bruce Campbell, originally premiered Sunday, April 17 on USA Network. The prequel film to USA’s smash hit series Burn Notice, takes place in Colombia 2005 when Lieutenant Commander Sam Axe (Campbell) is sent to advise a local military platoon. It’s there he discovers deep layers of deception and ultimately realizes he may be allied with the wrong side. Shot on location in Bogota, Colombia, the two hour movie was directed by Burn Notice star Jeffrey Donovan who also has a cameo in the film. As a huge Bruce Campbell fan, I’ve seen just about everything he’s done and he was the main reason that I started watching Burn Notice and without a doubt, he’s the best thing about that show even though he isn’t given much to do. When I heard that he was going to have the starring role in a television movie based on his character from the show, I knew I had to get my hands on that. This is all Bruce all the time as it should be. There is a cameo from Jeffrey Donovan from Burn Notice who also directed the movie, but that’s about as much influence there is from the show. In Burn Notice, Sam Axe has already left the military but the circumstances under which he did so have always been a little mysterious. With this movie, it all becomes clear as we see him still on active duty and the choices he makes that result in him being discharged and arriving in Miami which leads directly into the show. The movie was filmed in Columbia so the scenes shot on location make this look a lot better than a lot of of television movies that film on a studio back-lot. At the start of the movie (and two years before the start of the show), Sam has crossed the wrong Admiral by sleeping with the man’s wife, so he’s subsequently sent on a mission to Columbia as punishment. The admiral is so pissed that he doesn’t even equip Sam well and even makes him wear blue and gray camouflage fatigues which only make Sam stand out even more in the lush green jungle. Sam’s mission is called Operation: Provide Support and he’s there to track down a terrorist group known as the Espada Ardiente. Sam’s contact is Comandante Veracruz (Pedro Pascal) who gives Sam a tour of the local area including a clinic that is in the middle of a war zone. Sam tries to convince the two clinic workers Ben Delaney (RonReaco Lee) and Amanda Maples (Kiele Sanchez) to leave but they refuse. Sam soon learns that things aren’t what they seem and he finds himself on the side of the group that he was supposed to be stopping. The clinic comes under attack and Sam finally convinces everyone to escape before the clinic is destroyed. With the help of Ben, Amanda, a young native girl named Beatriz (Ilza Rosario), and a group of old goat-herders, Sam takes on a an enemy that is better equipped, has more personnel, and is armed to the teeth. Of course Sam being Sam, does have a knack for getting in and out of tough situations. I’m always happy to see a movie with Bruce Campbell in it and he elevates this movie quite a bit. The plot isn’t anything special, but the script itself is decent with plenty of one-lines for Bruce to say in his inimitable fashion. Jeffrey Donovan seems to be a big fan of Campbell’s work too since he has him not only wield a chainsaw, but he also gets him to say “groovy” despite Campbell’s reluctance to do so. Bruce did draw the line at saying a line about an “army of darkness” though! The rest of the cast are good in their roles and it was good to see RonReaco Lee get some work after being in the unappreciated show The Good Guys which was also created by Matt Nix. This movie has a lot of adventure, humor, and Bruce Campbell (which is all you really need), so if you are a fan you will enjoy it even if you’ve never seen Burn Notice. Despite being a made for TV movie, this 1080p (1.78:1) transfer looks great and a lot better than its original broadcast. Colors are vivid and this has a nice sharp picture that is so good that you can see detailed textures from the clothing. This transfer manages to capture the atmospheric surroundings well especially during the tropical jungle scenes. Black levels are as dark as they should be but the flesh tones tend to be a little warm at times. Aside from that minor complaint, this is a very nice transfer that looks a lot better than the previous releases of Burn Notice. Burn Notice: The Fall of Sam Axe’s DTS-HD Master Audio 5.1 mix is an above average affair that serves the movie well enough but could have been better. Dialogue is clear enough through the front channels and there’s some slight ambiance that’s spread across the rest of the channels but it could have used a little more juice. Explosions and gunfire sound good but they don’t pack as much of a punch as I would have liked. All in all, this is a good mix with a decent but not very memorable score. Not an extensive amount of extras but what’s here is pretty good especially the commentary. Audio Commentary by Bruce Campbell, Jeffrey Donovan, and Matt Nix: Any commentary with Bruce Campbell is a good one and adding in Nix and Donovan just makes it even better since they all love to make fun of each others “limitations.” It was also funny to hear how much Donovan kept trying to sneak in Army of Darkness references into the movie which Campbell resisted since he was worried that everyone would think it was his idea. This is a fun and informative commentary and I really liked it. The Fall of Jeffrey Donovan - A short making of featurette disguised as a mockumentary about Jeffrey Donovan’s supposed mental breakdown. There’s some funny bits in here but it went on too long. Deleted Scenes – These are more snippets than deleted scenes and aren’t really worth watching since they added nothing to the movie and were wisely cut. 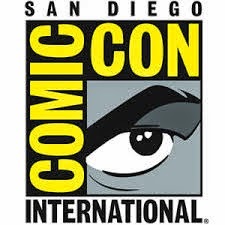 Burn Notice at Comic-Con 2010 – A very nice extra of last year’s Comic-Con with Chris Vance, Tim Matheson, Matt Nix, Alfredo Barrios, and Bruce Campbell who completely ruled the panel as expected. I wish they could have included this year’s panel for this movie. This is a no-brainer for me since I will buy anything that contains adventure, humor, and Bruce Campbell. I thought I was going to get to interview him for this release but I just found out that he’s too busy filming Burn Notice so I will just have to cheer myself up by watching some Army of Darkness. This is a solid movie that’s fun and doesn’t require any knowledge at all of Burn Notice. If you’re a fan of Mr. Campbell (and who isn’t), then you should pick up your boomstick and run out and buy this movie! Shop smart…shop S-Mart!